Roland JV-1000 Workstation Red Epoxy Strikes Again! Today I brought home an old vintage Roland JV-1000 workstation given to me free by a guy at a local second hand shop. The keys were leaking the infamous red epoxy from the weights mounted underneath the keys. The sales clerk didn’t know what to do with it, but remembered I took the Roland XP-80 off his hands a while back with the same problem. I gladly accepted the keyboard and after removing the keys at home I found the red epoxy leak to be luckily in it’s early stages. This means that I really only have to clean the keys, remove and re-glue the weights, and clean a bit of epoxy off the metal chasis. No red epoxy was found on the felt strip or on any of the PCB board components. In about a week I should have it up and running as good as new. Inside the Roland JV-1000, I also discovered it was equipped with the VE-GS1 Voice Expander card which increases the polyphony and multitimbral parts available for sequencing. Overall with the exception of the epoxy key issue, the Roland JV-1000 is in near mint condition. There are no scratches, dings, or any bad markings on the keyboard. I powered it up before I removed the keys and the everything seemed to work perfectly, so I’d say it was a pretty good day today. It’s amazing how this morning I had no idea I would be walking into a store and walking out with a free Roland JV-1000 Workstation. You never know what you’re going to find in these used music shops here in Japan. I successfully removed the keys and soaked them in a solution bought in Japan called Magic Cleaner. It’s orange scented and after a couple of days it dissolves the epoxy without causing any damage at all to the keys or other parts of the key bed. I used the exact same stuff with my Roland XP-80 so it’s pretty much my go to solution for cleaning the red epoxy. I then cement the weights back onto the plastic keys. I also use another super glue to seal the grooves around the weights to ensure they stay in and nothing else gets out. Finally I have this super ultra thin felt that I cut strips and layer over the original. It’s super thin so it doesn’t cause any noticeable difference in the action. I only layer the felt to cover up any epoxy spots to avoid sticking. It works really well. I can use white for the top and green for the bottom if necessary. Finally I put everything back together and use Super Lube PFTE grease for the areas that require grease or where I removed it. Once put back together, everything works good as new. Here’s a quick video I found on Youtube of someone giving the Roland JV-1000 a quick demo. Roland VP-9000 VariPhrase Processor – An underrated Gem! I’ve always wanted a Roland VP-9000 but here in Japan they have always been quite expensive and elusive to find. Especially way back when the Roland VP-9000 was first released it was a VERY expensive sampling module. Nowadays it’s quite cheap but still a little hard to find here in Japan. Luckily one popped up on Ebay from a friend I frequently buy from and it’s now on the way! I’m quite excited about it because although the technology is not that unique or new anymore ( software has replaced a few functions ), it still is quite a useful sampler to plug into my Roland A90 for sample manipulation. I am particularly interested in the real time pitch and tempo change ability, especially adding harmonies in real time. That legato mode sounds really cool as well. If you watch the video below you’ll know what I mean. Manipulating vocal performances is my primary interest but I understand being able to manipulate drum beats is also quite interesting. I was also able to acquire the V-Producer and V-Trainer software for the Roland VP-9000 which allows you to edit and import files much easier as well. I’m not really excited about using a Zip drive again, but I’m not sure I’ll pumping that many samples in and out of the VP-9000, rather just work with a few on projects to start out with. I’m also curious about the “alternate” method of creating multisamples across an octave or two which apparently works pretty good. The Roland VP-9000 is one of those unique or one trick pony sort of devices that I think will be quite fun and useful to add to a sort of minimal band performance. There are some limitations to the Roland VP-9000 but coming from the likes of the Roland S-50, W-30, and a few other samplers, I don’t think it should bother me much. I enjoy thinking outside the box with such devices and I know at the end of the day I’ll “make it work” as they say. I’ll update more here in the comments section when I get the VP-9000 probably early next week. Stay tuned! The Roland VP-9000 arrived today and I had a chance to load some samples into it and give it a test run. It’s fantastic!! It connects really easy to any midi keyboard controller and is very useful to play once you have some good samples loaded into it. On Windows 7 I have a program called V-Producer with V-Trainer for the VP-9000. The V-Trainer allows you to batch encode WAV/AIFF samples and then save them to a Zip drive. Ecoding the Wav file is necessary to allow you to play the file in a polyphonic manner without it changing the tempo when plyaing it up and down the keyboard. I took some voice samples from the Datafile Series 1 Cd-Rom and quickly encoded the voice wav files in a few seconds. I then put the zip into the VP-9000 and encountered my first real annoyance. The VP-9000 so far doesn’t allow you to bulk load or select several samples at a time to load. Instead you have to load each one. A work around though is that you can save all the samples in memory with a performance. Performances are kind of like projects as with newer samplers. So you only have to load one at a time only once. 1. First go to MODE > PLAYBACK and set the parameter to “RETRIGGER”. 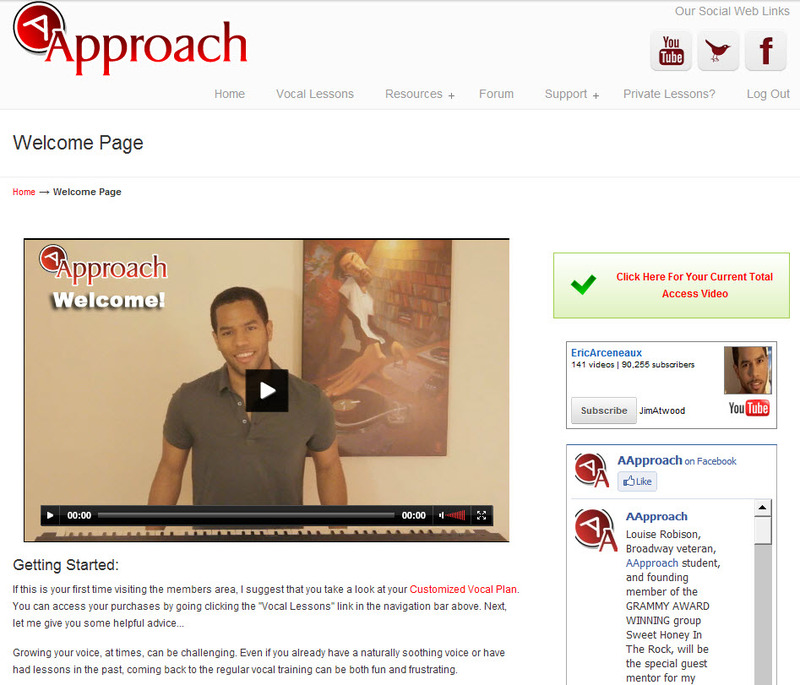 This will allow you to play up and down the keyboard without samples having a delay in triggering. By default, the playback is set to something different which causes the sample triggering to operate in a sort of glitch manner. 2. Second go to MODE > AMP and set the parameter “FADE” to something like In = 3 seconds and Out = 10 seconds. This will eliminate all of the pops and crackles you hear when playing a particular sample across 2-3 octaves. The FADE parameter is kind of a crude way of setting the attack and release for a sample although it’s not quite the same. Note that the VP-9000 does not have envelopes on board so the FADE parameter is the best bet for removing any unwanted noises. Another tweak is to add multi-effects to the sample. I particularly like the tap delay which gives the sample a sort of synthetic sustain or release. It’s a very cool effect as with most all effects on board the VP-9000. Sure, a few necessities like envelopes were forgotten on the VP-9000, but the effects processor will likely make up for it for some users. I have found the key to getting a good set of sounds on the Roland VP-9000 is to use short samples. The internal 8MB memory is fantastic coming from 720/1.44 on the Roland S-50. I found pulling vocal samples from old Roland, E-MU, Akai, and Ensoniq sample libraries to be awesome for the VP-9000. They pitch excellent up and down the keys and with 6 note polyphony with the VP-9000 you can record pretty much play any one track “piano type” groove with any sample. The polyphony is a drawback but if you record to an audio recorder, loop station, or just play one track you’re perfectly fine. 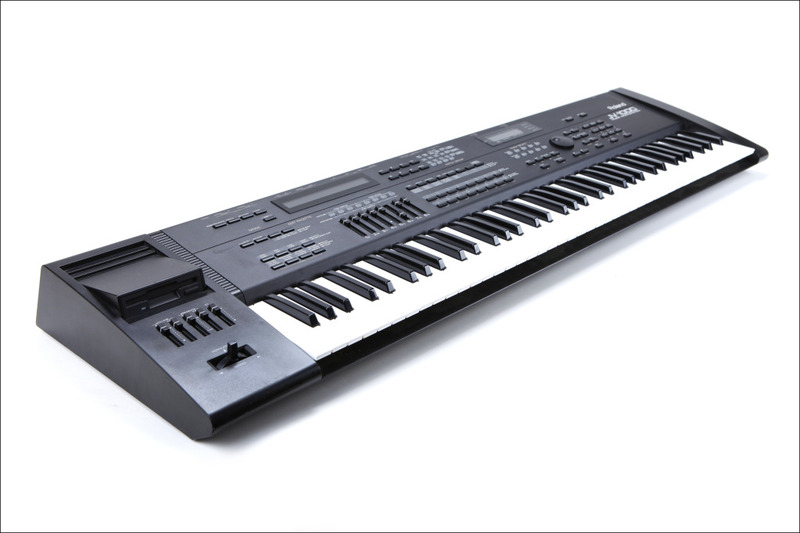 The Roland VP-9000 is an absolute creative monster and a very underrated machine. I’ll write more once I further explore the Roland VP-9000. Thanks! I figured out that you can load multiple samples by pressing the VALUE dial and adding a “+” next to each sample. Excellent! Here is the Roland VP-9000 Promo Video found on youtube. Recently I picked up a used Roland MV-8000 at a small second hand shop in a remote area of Nagano-city, Japan. I actually had my eye on this for the past two years and gradually watched the price hit rock bottom and to the point where I thought it was only a matter of days before someone saw the great deal. So I snagged it while I could and I must say it’s been a blast working with it. So far it does just about everything I’ve asked it to do and what it does, it does very well. Working with phrases, the pads, and sequencer are all pretty straight forward. 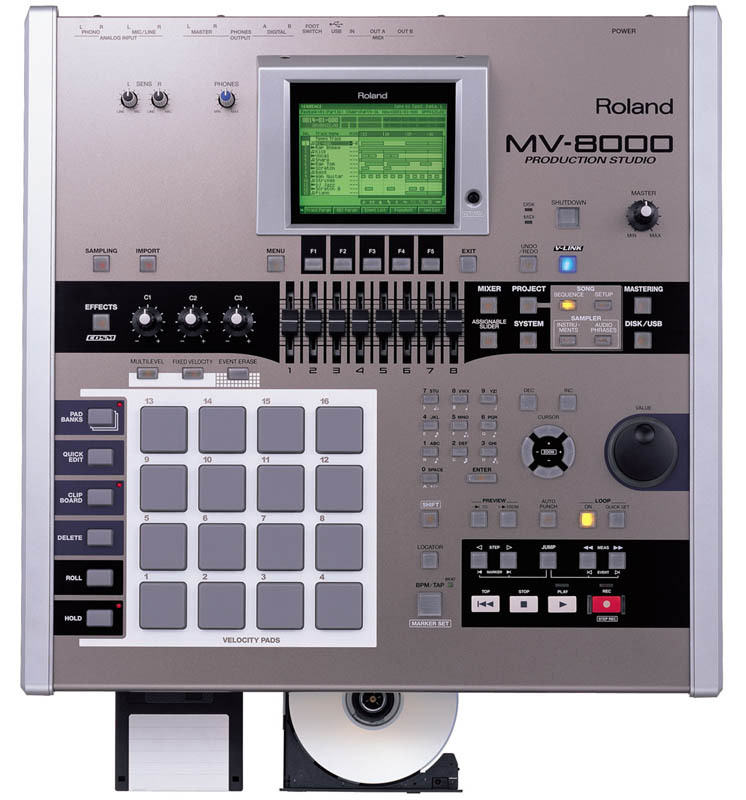 What particularly interested me was the ability for the MV-8000 to work fully with creating instruments using multisamples imported or created by sampling. Not only could I create a beat, or loop a phrase, but I also could playback any sort of Akai, E-MU, Ensoniq, or Roland multisample from a collection of sample CDs that I have acquired. I also mentioned the Akai S2000 in my title because I have also found a new way to work with importing samples to the S2000 which in turn I can create a CD-Rom for import into the MV-8000 which works flawlessly. Thus I thought I’d outline my workflow below in case it helps give ideas to others interested in doing something similar with either of these devices. I must stress that the main task I am trying to achieve is to import samples into the Akai S2000 / Roland MV-8000 as instruments for playback using a midi keyboard controller. In my case I usually use a Roland A-90 Expandable Controller. The Akai S2000 is a fun sampler and I’ve always liked the sound, BUT, it’s never been easy to import and map samples across the keys. I finally found a solution that works incredibly well and I’ll use my “Universe of Sounds” for the E-MU Emulator II series as an example. A while back I successfully converted the E-MU Universe of Sounds CD Roms to Emulator X2 format on my computer. I then found that if I did the following I could import these into the Akai S2000 perfectly. 1. Convert the Emulator X2 Universe of Sounds patches into Akai S5000 format using Extreme Sampler Converter. I’ve used Awave Studio and Translator 6 without success. They alter the patch settings too much, but ESC keeps them virtually untouched. 2. For the second step, I translate the Akai S5000 files into Akai MESA format using CD Xtract 4. Again if I use Awave Studio or Translator 6 it alters the patch files and they don’t sound correctly. Translator 6 works fine if I import into the Akai S2000 only, but later when I want to import into the Roland MV-8000, I notice major patch issues which I isolated to Translator 6 changing the original patch attributes. 3. I now take the AKAI Mesa files created by CD Xtract 4 and import them into Millenium Pro which is a program I found on an old hard drive from WAAAY back. I can’t remember where I got it but I remember a guy named Jan used to program it. It works perfectly for importing MESA patches into the S2000. It’s VERY stable and most importantly it keeps the true nature of the multisample patches in tact. It’s amazing how well it works. Note that I use a Windows 98 computer with an INTERNAL SCSI card connected to an Akai S2000. I found that using any sort of PCMCIA SCSI or USB SCSI will not work. It must be a card slotted inside the computer. I can also use Windows XP which works fine too, but like Windows 98 a little better. In both cases you need an internal SCSI card and not a PCMCIA card SCSI device. 4. Once I have the sample imported into the Akai S2000, I can stop there, OR, I can import them into the Roland MV-8000. What I do for that is first save the multisampled patches from the Akai S2000 to an MO disk drive connected via SCSI. The Akai S2000 can only use 230MB MO disks so I can only create a maximum 230MB CD-Rom. 5. I then have to rip an image of the MO drive using again the highly useful “Extreme Sample Converter”. It creates an exact image of the MO disk with which I can then use a image burner and create an Akai S-1000 formatted CD-Rom. I found that saving the patches FROM the Akai S2000 and then ripping the MO image to be the BEST way to keep all the settings safe and untouched. Any use of a software application like Awave Studio or Translator 6 alters the files. I have done this extensively and on my computers they 100% change the files so I can’t comment anymore than the fact that something is changed and I can’t explain it. An Akai S2000 created MO disk works 100% perfect so I’m all over that…laugh. 6. Finally I insert the newly created Akai S1000 CD-Rom into the MV-8000 and import the patches into the instrument area of the sampler. PRESTO!! I now have my E-MU Universe of Sound instrument collection mapped perfectly with pitch, root notes, envelopes, and names all appropriately placed. I literally don’t have to change a thing, but of course the MV-8000 is different than the Akai S2000 so I naturally tweak things a bit to my liking. I can now use the Akai S2000 to effectively create a working and very accurate Akai S-1000 CD-Rom full of multisamples that can be perfectly imported into my Roland MV-8000, S-760, Yamaha A3000, etc sampler. The Akai S-1000 is still pretty much a universal format for most samplers and by being able to create multisample instrument CD-Roms in Akai S-1000, I can fill up other brand samplers quite easily. Note that there is an MV Kit Creator program that I hear works very well with the Roland MV-8000, BUT it cannot handle the creation of multisampled instruments. I primarily use samplers for creating patches or instruments most of the time. I should also note that Translator 6 can translate samples into MV-8000 instrument format, but honestly that doesn’t work for me. I have to spend WAAAAY too much time tweaking the result. By using ESC, CD Xtract, and Millenium Pro in the manner above, my success rate is near perfect which allows me to “Tweak to play” rather than “Tweak to fix” a patch. I would LOVE for Translator 6 to work but it doesn’t. I did however register Translator 6 so that hopefully an update will work, but until then I have found a suitable workaround. I really enjoy tinkering with hardware samplers. I recently also just picked up a Roland VP-9000 and am anxious to dive into that as well. It should be fun. EnjoY! !